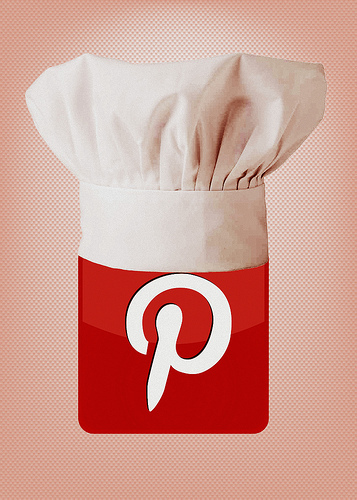 Pinterest is the virtual pinboard to organize and share things of your interest like your website images, videos and make your blog reach a wider audience with the listed 5 Pinterest tips. The site called as Pinterest has taken the internet by storm.It sends more referred traffic to websites than LinkedIn and Google+ combined by receiving an amazing 11 million unique visitors per month.With ‘Pinning’ being fun, marketers and businesses from around the world can benefit enormously from this monster of a site.After all, leveraging your resources is a good practice when trying to grow your business and gain exposure to your offers. But Pinterest is still new to some and many people have never even heard of it, so to help you get started, let’s see how it deals with your business.It doesn’t matter what kind of business you are dealing with.In your market or site business of your niche, be relevant and exact with the subjects underneath your niche.Find some related images online (make sure you are not infringing any copyright laws) and get started to start pinning. You can rank your pins.It’s really simple to make sure your images are correctly managed.There are a few things you need to know.First you need to know which keyword you are going for.Once you have got that, you can optimize your boards and pins. Take care you have pinned your pins of images in the correct category. Start with your board title.When you go to name your board, make sure you include your main keyword in the title. For your actual pin, you need to insert your main keywords in the description text. If you have control over the name of the image file, name that image your main keyword. Don’t be afraid to point a few backlinks from other social networking sites to your image or interlink your pins together for a little more link juice.This will help push your pin to the top of Google. Every online marketer knows the value of better rankings and importance of using backlinks for any type of useful content he thinks to be greatly viewed on the internet.Even though, Google makes changes to its algorithm some 400 times a year, backlinks still hold weight and always will. The internet is quickly shifting into a social based space and Pinterest is a social content curation site with currently having a page rank of 6 which is 3 times higher than the average website.Now, having links from Pinterest is very profitable and beneficial, and they are very easy to get.You can acquire a link from a few places and point them to anywhere you’d like, such as your company site or affiliated sites. When you start pinning an image, edit it with your link in the description, with your main keywords.Then on the same pin, you can enter a link in the URL field. You can also have backlinks from the images to your site if you have pinned an image from a site that you own.Pinterest will automatically put a link to the source where the image came from.After, you can go to the profile button in your account and leave a link in the ‘About’ and ‘Website’ box. Lastly, once you have created your board, go back to the board and edit it.In that description, you can also drop your link and a keyword for better optimization. Start your Pinterest account with interesting images.The more interesting it is, the more people will start following you or your board,’like’ your image and comment.The more interaction you can get the more people will start to see your stuff and follow you. A very good way to do this is with the site www.infographics.com. When you can present information to people in a fun, unique way they are sure to pass it on. find authority figures in your niche who are on Pinterest and Follow them. follow all the people who follow those authority figures. Repin other people’s pins.They’ll get a notification for you repinned their stuff and hopefully, they’ll follow you back. Pinning your videos is a great way for increasing its views.The total no. of views on your video gives it more credibility, as it will be more attractive to people when they see a lot of views for that particular video. You can post your videos to your boards from just about anywhere, but with the most popular being Youtube and your own sites. There is another site just like Pinterest, called as www.chill.com but for videos.It allows you to post videos to your account from people you like. It’s a usual mistake made by a lot of people when it comes to marketing on Pinterest or any other social site.They get the ball rolling, post a bunch of stuff about their works on net, get a bunch of followers and then just stop.You have to be engaged consistently. You could easily pin something every day which only take a minute or two of your day to it.This will keep you in front of people’s faces at all times.You can’t let them forget about you. When you are finding images to pin, make sure the site you are pinning from is ok with it.If you are using “Pin It” and a site has blocked access to it, don’t manually upload the image.The site doesn’t want their stuff shared.Respect that or they may take some sort of legal action. Install the “Pin It” button to make it easier to pin from your site or things you like.This is a great timesaver when you need to post something for your followers. If you sell anything online and have the ability to create and accept coupons, make a few and pin them to your boards.People love to save a dime on items that they want, plus coupons can spread virally like wildfire.This works for both physical and digital products. This article was published in Internet and tagged Pinterest, Social Media, Website Traffic. Perfect! I think i will start my marketing on Pinterest ASAP.